Makeup baking isn’t anything new. It’s a technique that started in the drag community, and has gained popular mainstream attention over the past few years, especially when stars like Kim Kardashian made it a go-to makeup technique. But celebrities aside, it’s one of the best ways to set your makeup in place. Makeup baking can be your saving grace, whether you have a long day and you don’t want your makeup to run, or you have a concert to go to and you’d rather not look in the mirror to see your makeup sweating off your face. Take a look inside the makeup baking technique, and check out the best tips and products to make your look last all day. 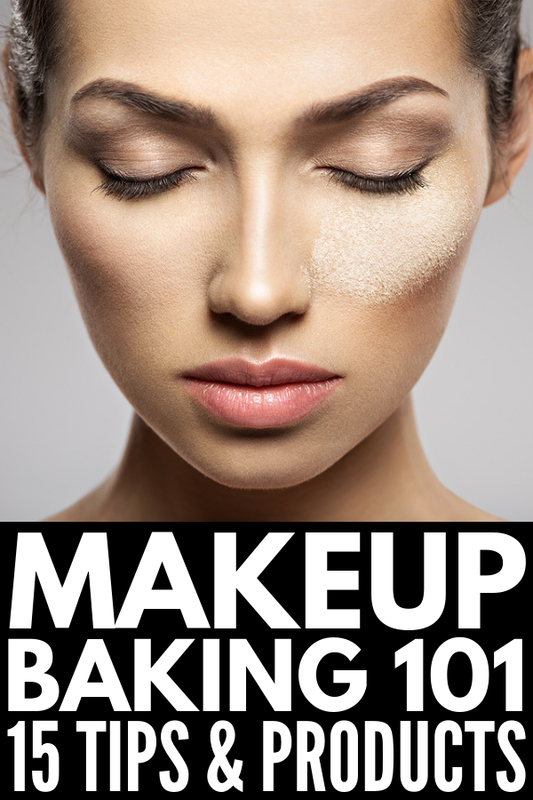 Makeup baking is one of the best ways to keep your makeup in place. If you’re new to makeup baking, here’s an explanation of the popular technique: After you apply your foundation and concealer, you apply translucent powder and let it sit on your face for 5 to 10 minutes. This allows the heat from your face to set your foundation and concealer. Dust it off your face after the 5-10 minutes is up and you’ll be left with a creaseless, flawless finish. Makeup baking helps with everything from under eye creasing to makeup running. It also helps you highlight and contour areas of your face you want to emphasize. It creates natural shadows and dimensions, highlighting your best features. Two of the most popular places people bake is their cheeks and under eye areas. Why Does Makeup Baking Make Your Makeup Last Longer? When you apply a generous amount of setting translucent powder over your makeup, it starts to “bake” because that area of your face can’t breathe. Your body temperature causes the loose setting powder to become trapped, and cooks it into place. This prevents your makeup from coming off, providing a foolproof shield. 1. Laura Mercier Loose Setting Powder: This is known as the best translucent powder for baking, recommended by tons of beauty Youtubers and gurus. It’s oil free and silky, and will never make your makeup look cakey! 2. Makeup Forever Super Matte Loose Powder: This velvety non-drying formula ensures your makeup will be baked without drying out your skin. It will refresh and even out your complexion while it sets your foundation and concealer. 3. Estee Lauder Perfecting Loose Powder: When it comes to the best baking powder makeup, this loose powder will never do you wrong. It helps minimize the appearance of fine lines, wrinkles, acne and other blemishes, and will help you achieve a flawless, smooth look. 4. 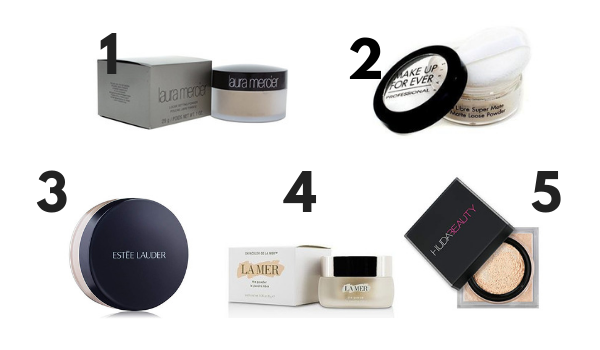 La Mer The Powder: If you’re looking for a luxurious finishing powder, look no further than La Mer. It’s incredibly light and will help you bake your makeup perfectly to last throughout your busiest days. 5. Huda Beauty Easy Bake Powder: Available in 8 shades, from ‘Blondie’ to ‘Coffee Cake’, the ultra-thin powder fixes your makeup in place, giving you a gorgeous, velvety finish. 6. Beauty Bakerie Setting Powder: This setting powder was created specially for makeup baking, so you can’t go wrong putting it in your check-out basket. It absorbs excess oil, minimizing the appearance of oily skin, leaving your complexion perfectly matte. 7. RMS Beauty “Un” Powder: This organic mineral powder is good for your skin and won’t clog pores or settle into fine lines. It softens skin and absorbs oil, so you can come out of your “bake” with a seamless finish. 8. Beauty Blender: A beauty blender is one of the best ways to apply setting powder for makeup baking. It allows you to get a good dose of the powder and apply it generously to your face! 9. Sigma Beauty Baking & Strobing Brush Set: If you don’t want to use a beauty blender, this brush set will help you set your baking powder in place. Or, if you do use a beauty blender to apply the setting powder, you’ll need to blend the powder away. Use the brushes in this set to help you get your final look! 10. Fresh Black Tea Eye Concentrate: A good eye cream is key to ensure your under eye area remains hydrated while baking. This one helps boost moisture and revive your skin, while also aiding with anti-aging. If you’re just getting into makeup baking, this is an awesome tutorial for beginners. She keeps it short and sweet so you can follow exactly what she does to get this technique right! She uses a pore powder to fill in all her pores and fine lines. Follow her lead so your complexion comes out absolutely flawless! This tutorial focuses creating an under eye highlight with the help of makeup baking to make it last all day. She recommends the Bobbi Brown Hydrating Eye Cream to keep your eyes moisturized before applying concealer and the Laura Mercier powder we recommended above for her makeup baking! I love this tutorial because before she shows you how to bake, she gives you a run down of what makeup baking is, who should use it and when to use it. She uses the Ben Nye Luxury Banana Powder and mixes it with the Givenchy Poudre Premiere to bake her makeup and applies it with a beauty blender. If you’re looking for a full coverage foundation base, she shows you how to achieve it with the baking technique. This tutorials demonstrates how to prep your skin before applying makeup and baking it, which is one of the most important steps to keep your skin from becoming dry while baking. She recommends the Kiehl’s Ultra Facial Moisturizer. She goes on to apply makeup and then bakes her base with the Laura Mercier translucent powder! In this tutorial, she gives some great tips to prep your face before baking as well as how to apply your setting powder to get the most out of your bake. She also gives you tips for applying the powder based on your face shape. She uses the RCMA No Color Powder to do her baking. 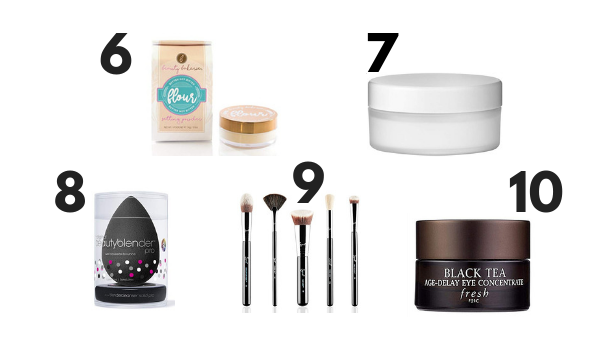 If you’re a makeup baking beginner, these tips and products will help you get it right so your makeup lasts all day! 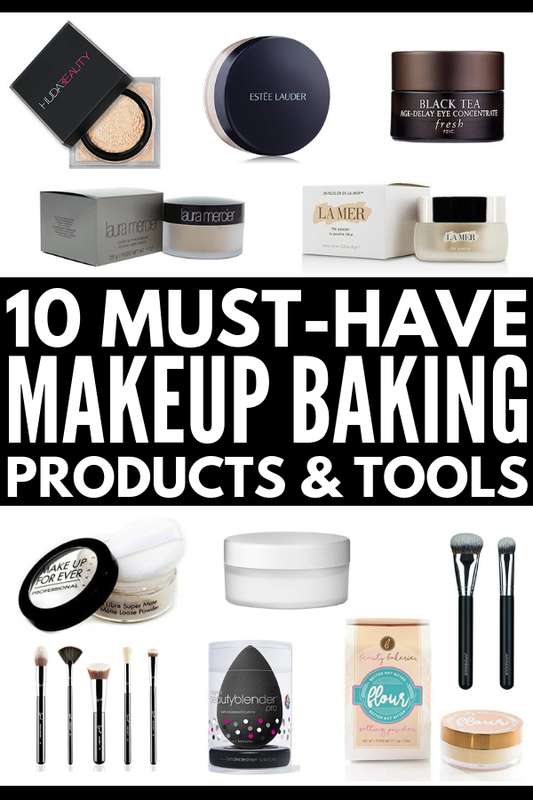 If you loved this post on makeup baking, make sure to pin this image on Pinterest! And if you want more makeup tips and tricks, please follow our Beauty Board on Pinterest!